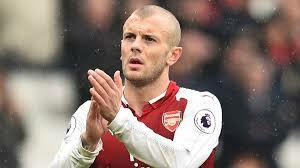 The midfielder is a free agent and could line up at London Stadium, although he will have to convince the club his injury woes are behind him West Ham United are ready to step up their pursuit of former Arsenal midfielder Jack Wilshere. Wilshere became a free agent this summer and chose to leave the Emirates Stadium after struggling with injuries in recent seasons. The midfielder's No. 10 shirt will be occupied from 2018-19 onwards by Mesut Ozil, who had also been linked with a move away before finally signing a new deal with the Gunners. It is understood that the club's London rivals are keen to add Wilshere to their squad in time for the new Premier League campaign. The Hammers had been lukewarm on the 26-year-old prior to the arrival of Manuel Pellegrini. Pellegrini, however, is a fan of Wilshere and the club has in turn stepped up their efforts to land him. Wilshere will first have to pass exhaustive medical tests at London Stadium, which are scheduled for Friday. West Ham will need to be convinced first that his injury woes are well and truly behind him before putting pen to paper on a contract. Wilshere came through the youth ranks at Arsenal, but has seen his first-team opportunities severely restricted as serious ankle and leg injuries have kept him on the sidelines. He has played just 39 times in the last four Premier League terms for the Gunners, adding a further 27 appearances in 2016-17 during a loan spell at Bournemouth.